Genesis has always been known simply as “the beginning” and considering the solid information you’re about to receive and how it will change your business for the better, I found it fitting to use that term in place of any proper introduction heading. In this free report, you’re going to discover the exact steps to take to drive targeted traffic to your offers while building your list and authority in whatever niche you decide to settle down in. It doesn’t matter the niche, because this content is so simple it can be used in any niche. The only thing that you might have a problem with is finding PLR (or private label rights) material for it. If that happens though, you’ll just have to create your own content, but on the plus side, you’ve also identified a new niche market and profit stream for you to implement within your business. Right? It can be easily outsourced to someone cheap. There’s problem a thousand more reasons I could come up with to implement this strategy, but that would lengthen the book and well, I want to make this as short and sweet as possible so you can read it in a few minutes and start implementing within hours. So that’s enough of my ramblings, on to the next part. During this part, I’ll be covering the various licenses you’ll often encounter when dealing with private label rights materials. I’ll also give kind of an overview of the method you’ll be using and go more in depth towards the end of this book. 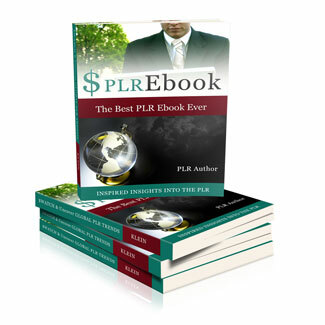 PLR – Short for Private Label Rights. PLR allows you to do “whatever you want” with the product. Typically, each product will come with it's own license so be sure to read the licenses for each of your new PLR products. MRR – Short for Master Resell Rights. MRR gives you the ability to sell a product without any edits at all. Most vendors that sell a product with MRR are usually doing so for the “branding” that comes with it, with this in mind, MRR are usually not able to edited or anything else, they're sold “as-is”. Having MRR allows you to sell other users both MRR and RR – depending on the license. RR – Short for Resell Rights. Resell rights is the child sized version of MRR. RR basically allows YOU to sell the product, but you're unable to pass on resell rights to your customers. This is spelled one of two ways, “Resell Rights” or “Resale Rights”, both meaning the same. Giveaway Rights – Giveaway rights are usually for branding purposes as well, just like MRR and RR. Giveaway rights are usually listed inside of the Ebook, the usual licenses state that they can give it away to build a list, as a free download or even syndicated it across their channels. Typically, the users of Giveaway Rights use it for list building, to send it to their list and bonuses for product sales.